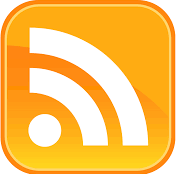 Subscribe to the snowmobile.org news feed. We are excited about the expansion of the Safe Riders! program with the addition of the new Safe Riders! video chapter series featuring 13 separate video chapters on snowmobiling lifestyle and safety related guidelines and practices. The chapters are each 1-3 minutes in length and can be viewed or downloaded from the ISMA website www.snowmobile.org. here have been a few nips in the air and snow in the Rockies, so that can only mean that winter is on its way - hopefully bringing lots of snow, cold weather and great snowmobiling. On behalf of the International Snowmobile Manufacturers Association members – Arctic Cat, BRP, Polaris and Yamaha Motor Corporation, we are excited to announce the continuation and expansion of the Safe Riders! You Make Snowmobiling Safe safety campaign. Much like you wouldn’t consider getting behind the wheel of a car after having drinks, you also shouldn’t consider driving a snowmobile or riding on one if the driver has been drinking. The Go Snowmobiling campaign has been a great success over the years. Clubs, groups, and associations across North America have taken military personnel snowmobiling, Enlightenment rides with land managers, and often just have fun sponsoring snowmobile rides with friends and family. Winter is starting strong, and it feels like this will be a great winter for snowmobiling. The trails and riding areas in many parts of North America are in great shape. As we begin the 2017-18 snowmobiling season, we thought you may be interested in the following facts while you are preparing to go ride this season. The Backcountry Ascender Sled 360 partnership with the members of the International Snowmobile Manufacturers Association is entering its second season, supporting snowmobiling safety. The Backcountry Ascender Program is a free and simple backcountry and avalanche educator. The platform uses educational gamification and good-natured competition to encourage rider awareness and improve backcountry knowledge, skills, and practical experience. 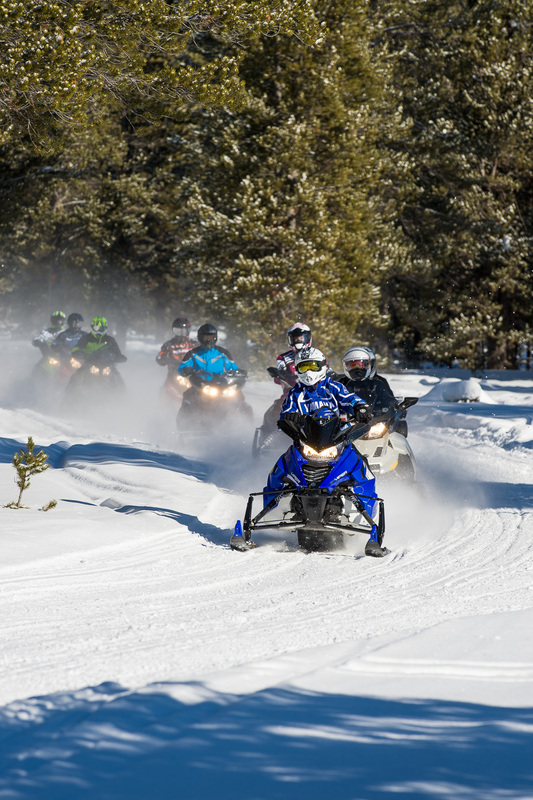 An overview of the Snowmobile Safety Certification Committee which oversees the recommended practices that guide manufacturers in the production of snowmobiles. Get Involved in 2017-2018 Snowmobiling Season Events! There have been a few nips in the air and that can only mean that winter is on its way - hopefully bringing lots of snow, cold weather and great snowmobiling. 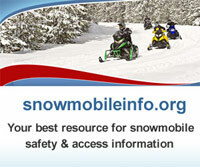 Snowmobileinfo.org offers links to avalanche education providers and avalanche centers, providing up-to-the-minute weather reports, mountain and snow conditions and avalanche danger ratings. Snowmobileinfo.org a comprehensive website supplying detailed information on safety education resources, avalanche education and information, training manuals, access resources and other pertinent snowmobiling information for snowmobilers, the general public, snowmobiling management agencies and land managers. The Go Snowmobiling campaign has been a great success. 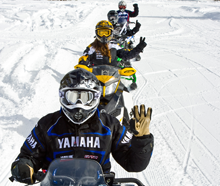 Clubs, Groups, and Associations across North America have held Military Rides, Political Rides, and often just have fun holding snowmobile rides with friends and family alike. Winter is starting strong, and there is still a good bit of winter to come this year. The trails and riding areas in many parts of North America are in phenomenal shape. During this time of year, we are seeing a little bit more daylight and the temperatures are a little warmer, so the improved temperatures and additional daylight improves our opportunity and riding comfort. 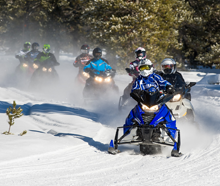 Snowmobile Safety: Ride Safe and Have Fun! 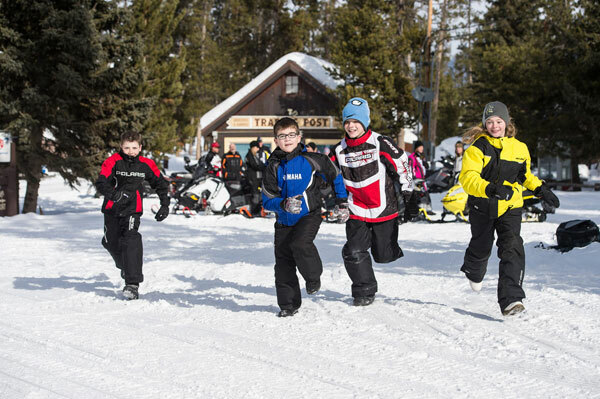 Now is the time for snowmobilers to keep snowmobile safety a top-of-mind awareness issue. 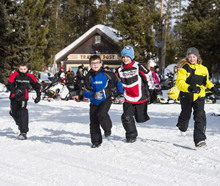 Snowmobile safety is nothing new to organized snowmobiling. Snowmobile administrators, the manufacturers, snowmobile associations and clubs joined together years ago in developing the Safe Riders! 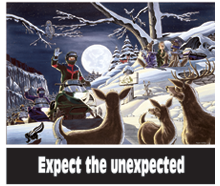 You make snowmobiling safe™ safety campaign which emphasized safe snowmobiling practices, training and enforcement. The campaign includes safety related materials such as decals, posters, the Safe Riders! DVD, public service announcements, and more. Millions of Safe Riders! Snowmobiling Fact Books, Brochures and Posters have been distributed throughout the world to safety trainers and clubs and associations - free of charge- from the manufacturers' ISMA office. The 22-minute long DVD is an excellent adjunct tool for snowmobile safety classes. All of the Safe Riders! materials are available free of charge by filling out an order form and returning it to the ISMA office. The objective of the partnership is to help disseminate knowledge. The Backcountry Ascender Program is well on its way to improving backcountry and avalanche awareness and education for all snowmobilers. We are already seeing positive preparedness and proficiency behavior changes, as riders all over North America are practicing using their avalanche equipment and signing up for Avalanche Awareness Classes. Backcountry Ascender is a free and simple backcountry and avalanche educator. The platform uses educational gamification and good-natured competition to encourage rider’s awareness and improve their backcountry knowledge, skills, and practical experience. 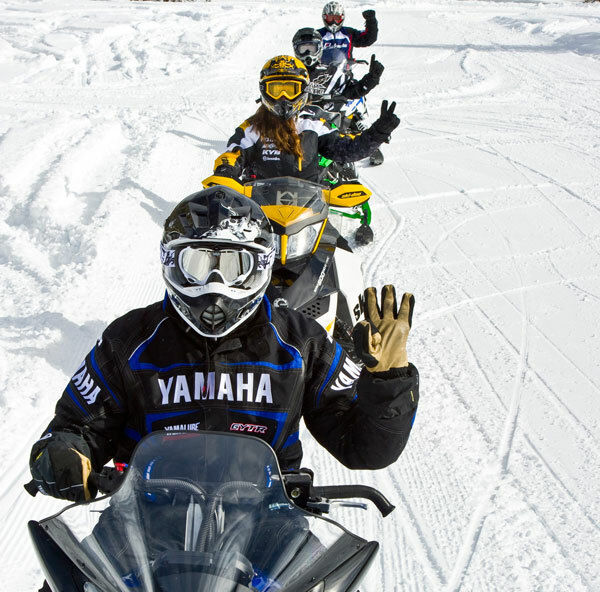 In 2006, extensive research work was performed to help us understand the perceptions individuals have of snowmobiling. The research also highlighted the priorities of outdoor recreationists of all kinds. The snowmobile manufacturers are looking forward to a strong sales year and great snowmobiling. New products at spring shows had a warm acceptance and advanced showings and open houses are touting excellent crowd interest and deposits on new sleds. This winter promises abundant reasonably priced fuel matched with a snowy winter, supported by a La Niña forecast for the snow belt across North America. According to weather forecasters, we can expect higher than normal snowfalls and “real winter” temperatures. Backcountry Ascender is a free and simple backcountry & avalanche educator. The application uses good-natured competition to help riders learn and improve their backcountry knowledge, skills, practical experience, and confidence. Safe Riders! Campaign Celebrates 20th Anniversary! The Safe Riders! 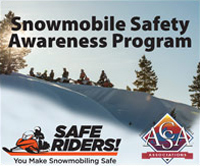 You Make Snowmobiling Safe© safety campaign was initiated in 1995 through a partnership with the snowmobile manufacturer members of ISMA – Arctic Cat, BRP, Polaris, and Yamaha and the state and provincial snowmobile associations and clubs located throughout the snow-belt of North America. 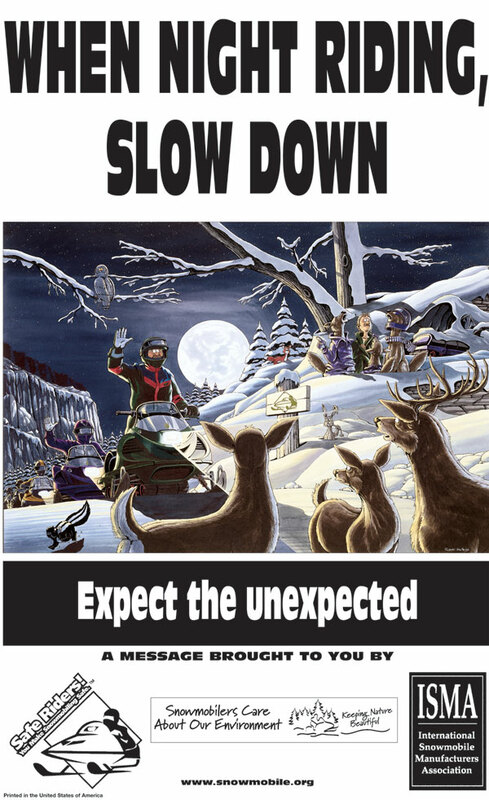 The goal of the campaign is to keep safety a ‘top of mind awareness’ subject while snowmobiling. The content of the campaign was created with input from all corners of the snowmobile world and continues to live and grow in ideas and outreach. For the past 15 years I have felt it necessary to make regular trips to Washington DC to promote snowmobile enthusiasts’ access to public lands. The Snowmobile Manufacturers have a unique relationship with their customer base. The relationships and the friendships begin on the trails and in the mountains. The manufacturer employees, beginning with the Chief Executive Officers, Marketing Managers, Accountants, and Production Teams love to snowmobile. The International Snowmobile Manufacturers are pleased to report that snowmobile sales in North America continue to show a positive growth pattern in 2014-2015 with sales increases that outperformed the US and Canadian economies. The 16th Annual SAE Snowmobile Challenge was held at Michigan Technological University in Houghton, MI from March 3-7, 2015. This year 21 teams from the U.S. and Canada and one from Finland participated in the weeklong event. The members of the International Snowmobile Manufacturers Association: Arctic Cat, Bombardier Recreational Products (Ski-Doo), Polaris Industries and Yamaha Motor Corporation were proud Gold-level sponsor of the event. Representatives from the Manufacturers were involved in the event and supported the skilled students participating from the Universities and Colleges from around the world. The International Snowmobile Manufacturers Association (ISMA) has partnered with the Outdoor Power Equipment Institute (OPEI) and the National Marine Manufacturers Association (NMMA) in the ‘Look Before You Pump’ campaign, an ethanol education and consumer protection program. The campaign reminds consumers to always use fuels containing no greater than ten percent ethanol when powering their outdoor power equipment or other non-road product, such as boats, snowmobiles and motorcycles, not designed for higher ethanol fuel blends. The Canadian Council of Snowmobile Organizations (CCSO) is pleased that a portion of the $10 million trail funding investment in Canada to the National Trails Coalition from the Federal Government will be available for infrastructure improvements to our members’ snowmobile trails. The snowmobile community is optimistic following the above-average snowfall throughout most of North America this past winter. The industry has experienced increases in sales, show attendance and miles ridden. Snowmobile sales increased worldwide to 157,106 new sleds sold this past yeara 9 percent gain from last year. Snowmobile sales in the United States and Canada increased 11 percent, and sales of manufacturer-branded parts, garments and accessories increased more than 20 percent from last year. Thanks to snowmobiling, winter has become a season to enjoy. Ask any of the three million people who take pleasure every year in the beauty of winter on the over 200,000 miles of groomed and marked snowmobile trails throughout North America. Snowmobiling is one of the easiest motorized recreational lifestyle activities to learn, making it suitable for individuals of all ages to enjoy an active outdoor lifestyle in the winter, develop new friendships and extend old ones. Today’s snowmobiles are now designed with a variety of comfort and convenience features that make it enjoyable to ride for hours.